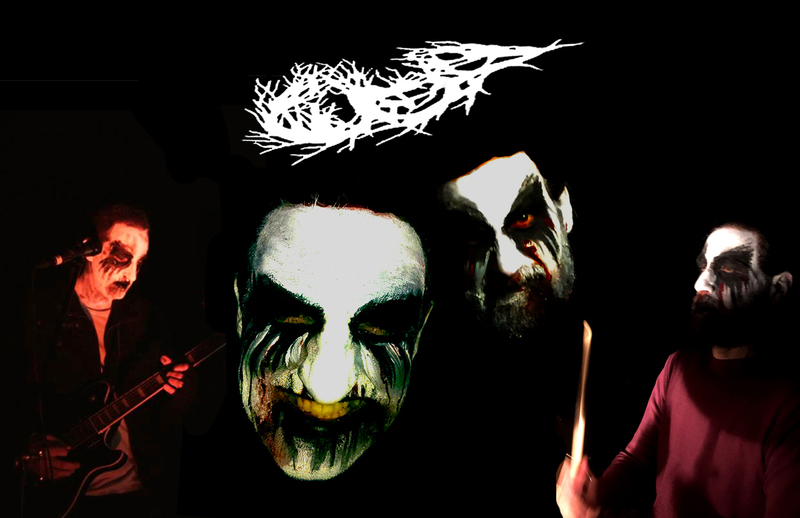 Hazeen is a Muslim black-death metal band comprised of Can Yalcinkaya (drums) and Safdar Ahmed (vocals and guitar). Our music addresses the expanding field of Islamophobia and bigotry in contemporary Australia. In our songs, as in our performances, we aestheticise prejudice, appropriating the reductive essentialisation of Islam and the paradigm ‘Islamic terrorism’—to highlight and subvert its politically confected nature. Our tunes comment on terror-alert politics, Muslim veil controversies, ‘timebomb’ demographics, refugee panics and taqiyya/halal-food conspiracies. This is no mere intellectual exercise but stems from a deep well of frustration about the incessant stereotyping, racialisation and subsequent dehumanisation of Muslims in Australian and global political discourses over many years. Black metal, with its high-level of artifice, performativity and underlying misanthropic (spiritual-Romantic) themes is useful in this context. A form that self-consciously mimics the vernacular of social hate and exclusion provides a useful analytic-deconstructive tool. 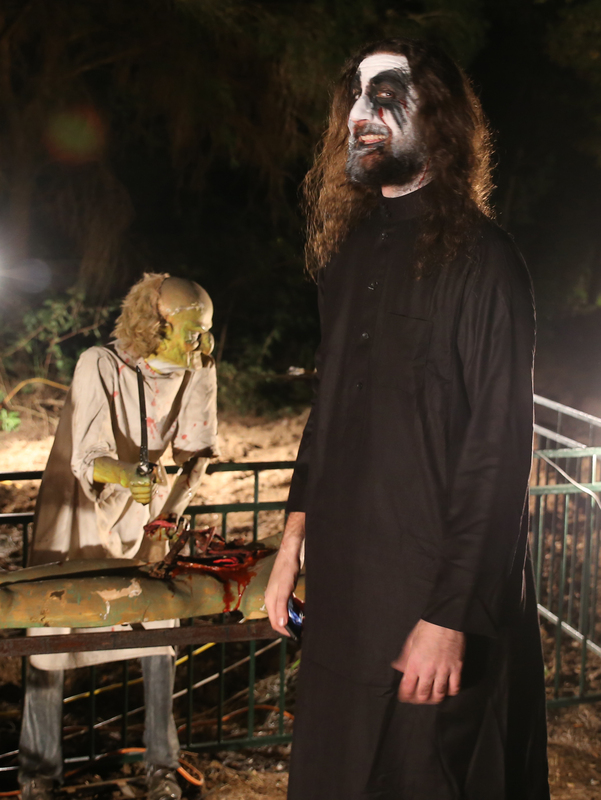 Amongst the already obscure subgenres of the extreme metal underground, ours would count as radical Muslim black metal – with the occasional foray into softer, perennial Sufistic/batini themes. In corpse paint we become the living dead, the victims of illegal wars, indiscriminate drone assaults, and their self-appointed avengers. By appropriating the enormous and ever growing repertoire of historical Islamophobia, we create a poetics of terror. We are the death cult – a natural outgrowth of late capitalism – forging a new Occidentalism. Below is a short video documenting our gig and communal zombie-cake eating performance, which took place at Shh Space in North Parramatta in April 2017. The zombie is employed as a signifier for racist, Islamophobic hallucinations of an acopalyptic Muslim takeover, which we reverse engineered in a macabre zombie-brain eating ceremony. You can read about my theory linking Orientalism/Islamophobia and the modern zombie here. You can hear some of our music on Bandcamp here. For the latest Hazeen news you can follow our facebook page here. 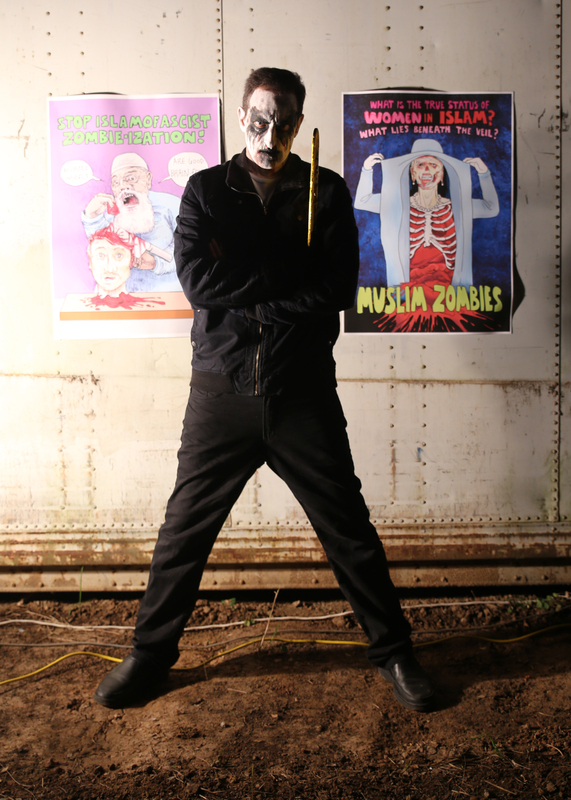 Safdar in front of his Muslim zombie posters.